Do send me your good wildlife photos; I’m getting a bit nervous as the tank runs low. . .
Surf scoters (Melanitta perspicillata) are by far the most common near-shore sea ducks on the Oregon Coast. The bill colors of the males are odd. These birds are often called skunk ducks, for what should be obvious reasons. 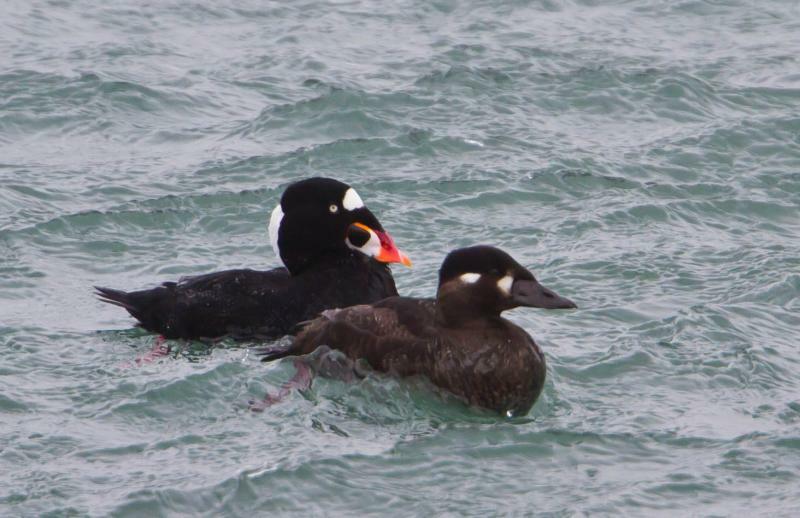 Surf Scoters eat invertebrates, fish eggs, and anything else that’s handy from the sea bottom. This flock was resting between the jetties at Yaquina Bay, Newport, Oregon. 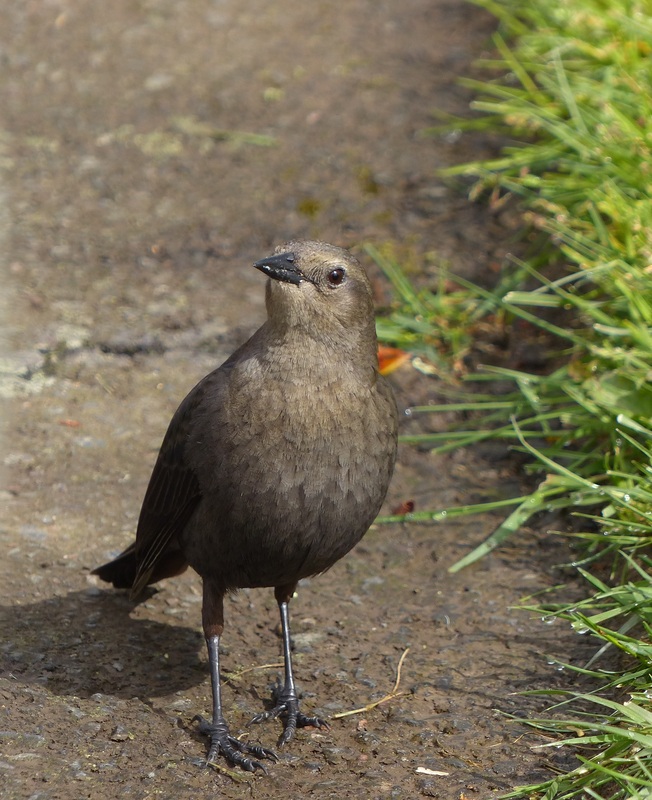 Brewer’s Blackbirds (Euphagus cyanocephalus) are common around ranches and rest areas in the west. These were photographed in a rest area on I-5 in Oregon, where they were moderately tame. 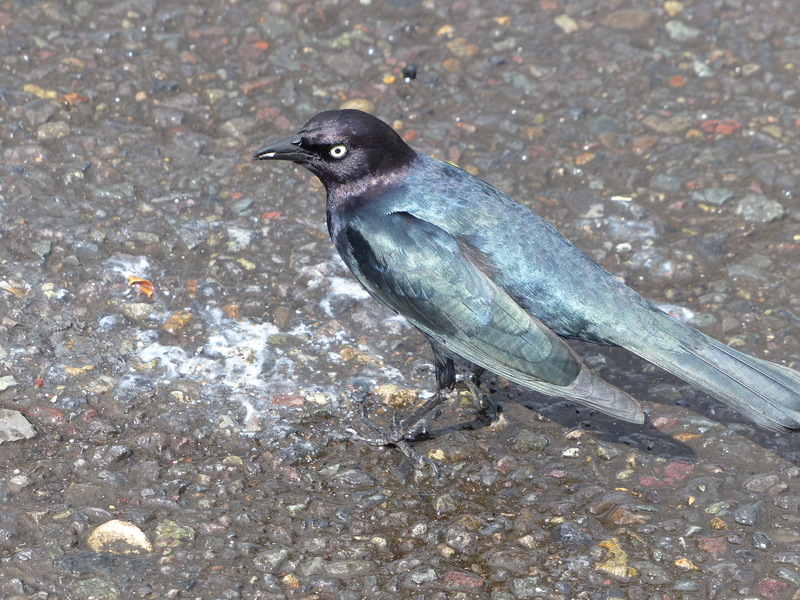 The male looks black with a pale eye, but as you can see, in good light it shines purple and blue. The female is dark brown with a black eye. These birds eat seeds and insects, and diverse trash. Herewith is a short-beaked echidna (Tachyglossus aculeatus), which I encountered wandering about in the Warrumbungle Ranges. This entry was written by whyevolutionistrue and posted on October 1, 2018 at 7:45 am and filed under birds, mammals, photography. Bookmark the permalink. Follow any comments here with the RSS feed for this post. Both comments and trackbacks are currently closed. 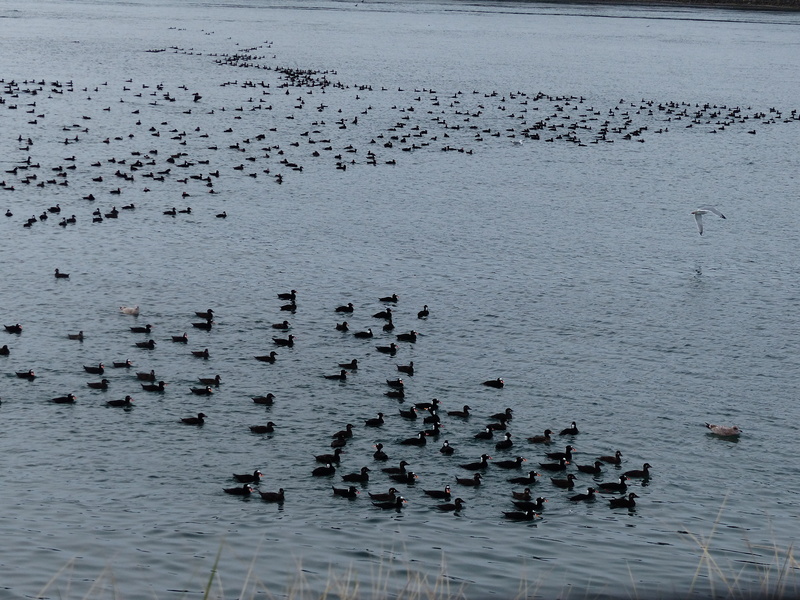 Always exciting to see wildlife amassed like that, excepting the time my rental house was overrun with roaches… but could anyone explain what a “scoter” is? I always misread it as “scooter” anyway. Lovely photos all. Especially like the echidna; fascinating creatures! 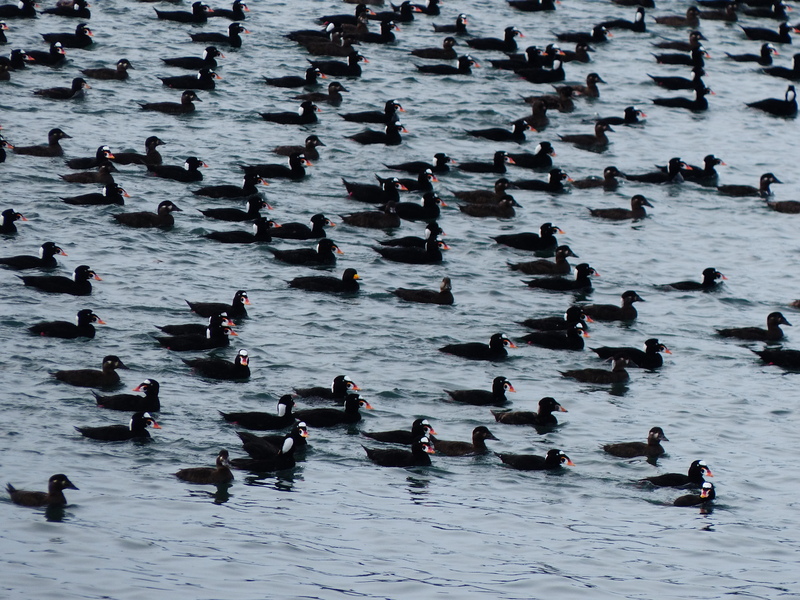 That’s an impressive flock of scoters. I see them here (around Santa Cruz, CA) but never in such numbers. Scoters are ducks in the genus Melanitta (maybe that was obvious!). My Oxford says the etymology is unknown. 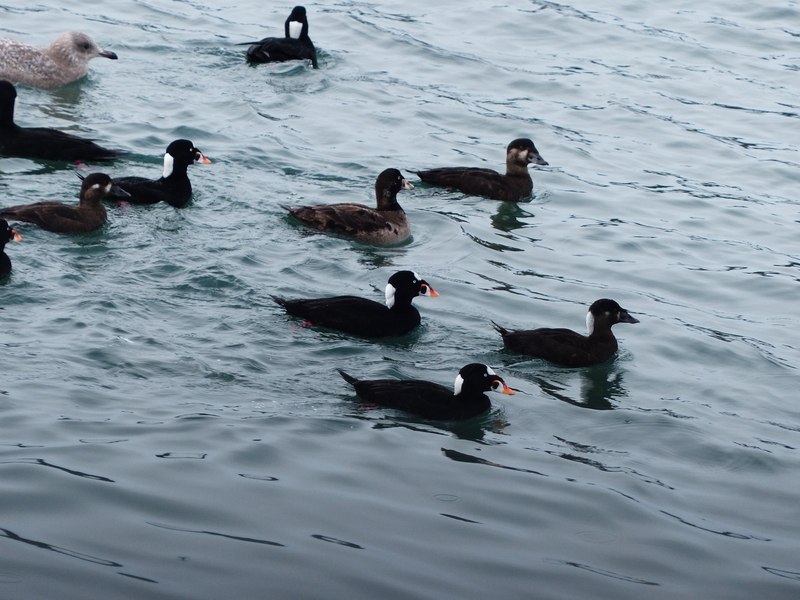 There are three widespread species in North America: Black Scoter and White-winged Scoter, in addition to the Surf Scoter; and, in fact, if you look carefully you can see a male Black Scoter among all the Surf Scoters. It’s the all-black one with an orange ball on its bill (centre left). The duck to its immediate right (with head turned, about dead centre of the picture) appears to be a female Black. You’re right! I’d completely missed that. In the top photo, in the center are two Black Scoters! They seem to me to be the least common of the three in this area. Here in Ottawa, Canada, scoters are fairly common on the Ottawa river in late fall: about mid-October to mid-November, so “scoter season” will start soon. Sadly, we don’t get many adult males in their weird and wonderful plumage; it’s mostly birds in female/immature plumage. We get all three species. The relative abundance of the three seems to vary from year to year (reflecting who has had the better breeding season? ), but overall I’d say Surf is the most common here too. We don’t get the big rafts like in your photos, though. Typically groups will have fewer than 10 birds. 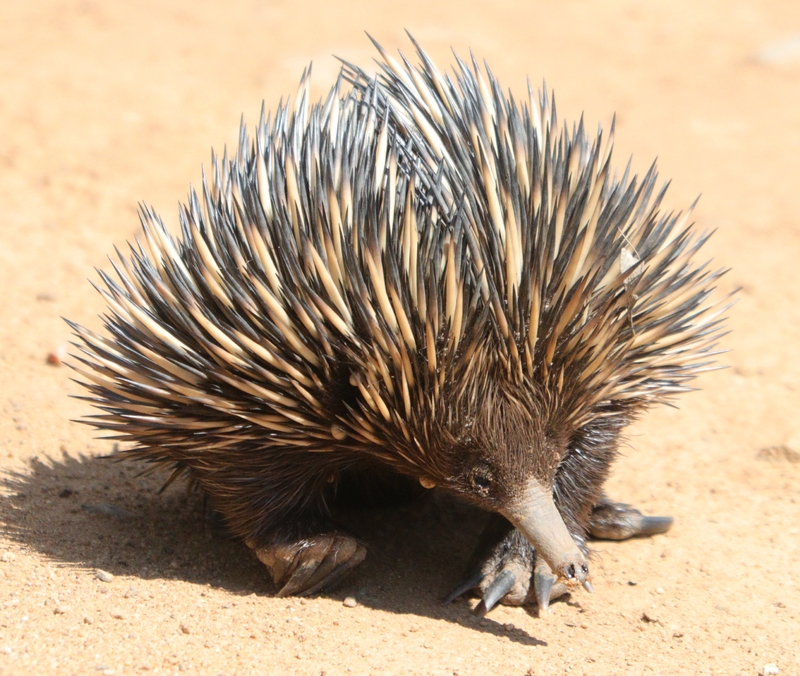 The echidna is impressively equipped for both offense and defense. The quills look much like the American porcupine. I wonder if they evolved independently? Excellent pictures and descriptions. I really enjoyed that. I would love to send pictures but I don’t know photography, nor do I have a camera. What an amazing picture of the echidna!